The Shanghai Cooperation Organization (SCO) is an intergovernmental international organization founded in Shanghai on June 15, 2001 by six countries – China, Russia, Kazakhstan, Kyrgystan, Tajikistan and Uzbekistan. The six member states occupy territory that accounts for three-fifths of the Eurasian continent and have a population of 1.5 billion, a quarter of the world’s population. In addition to the six member states, the SCO has two new acceding members, Indian and Pakistan, four observer nations, and six dialogue partners. According to the SCO Charter and the Declaration on the Establishment of the SCO, the main purposes of SCO are: strengthening mutual trust and good-neighborliness and friendship among member states; developing their effective cooperation in political affairs, the economy and trade, science and technology, culture, education, energy, transportation, environmental protection and other fields; working together to maintain regional peace, security and stability; and promoting the creation of a new international political and economic order featuring democracy, justice and rationality. The SCO abides by the following basic principles: adherence to the purposes and principles of the Charter of the United Nations; respect for each other’s independence, sovereignty and territorial integrity, non-interference in each other’s internal affairs, mutual non-use or threat of use of force; equality among all member states; settlement of all questions through consultations; nonalignment and no directing against any other country or organization; opening to the outside world and willingness to carry out all forms of dialogues, exchanges and cooperation with other countries and relevant international or regional organizations. 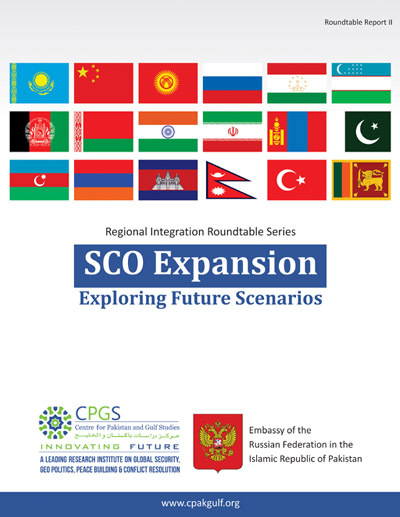 The SCO stands for and acts on a new security concept anchored on mutual trust, disarmament and cooperative security; a new state-to-state relationship with partnership instead of alignment at its core, and a new model of regional cooperation featuring concerted efforts of countries of all sizes and mutually beneficial cooperation. In the course of development, a Shanghai spirit gradually took shape, a spirit characterized by mutual trust, mutual benefit, equality, cooperation, respect for diversified civilizations and common development.